production code. Within a highly-integrated platform concept, standard use cases like Requirements-based Testing or Back-to-Back Testing are combined with innovative and powerful technologies like model checking, automatic test generation and formal methods. Certified by TÜV Süd for IEC 61508, ISO 26262 and related standards, BTC tools are in particular suitable for the development of safety critical applications. Founded in 1999, BTC Embedded Systems AG is currently present with more than 135 employees in Oldenburg, Berlin, Tokyo, Nagoya, Shanghai, Detroit, Paris, and Timisoara, and is part of the “BTC Group” headed by the BTC Business Technology Consulting AG. BTC EmbeddedSpecifier is a tool used to create and manage semi-formal and formal requirements for safety-critical projects. While a semi-formal and formal notation of requirements is recommended in standards like ISO 26262 and IEC 61508, most formal notation languages require a high level of expert knowledge to both read and write them. Instead of having to create formal requirements from scratch, BTC EmbeddedSpecifier provides you with an intuitive method to derive comprehensible formal requirements from natural language without expert knowledge. Direct connection to requirements-management tools like DOORS, PTC Integrity or Polarion to guarantee traceability between informal and formal requirement specifications via linking. 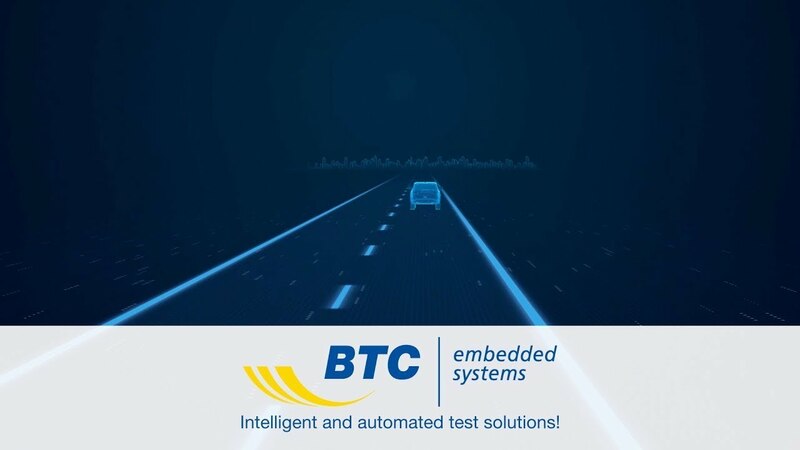 BTC EmbeddedTester provides an ISO 26262 certified and fully automated Back-2-Back Test between Simulink/TargetLink models and production code. In addition to functional test cases that may already exist, BTC EmbeddedTester allows you to also generate structural tests for full code coverage up to MC/DC. Thanks to the seamless integration with TargetLink, BTC EmbeddedTester is able to automatically execute all test cases on any execution level such as MIL, SIL or PIL. Besides the standard Back-2-Back Test between model and code, BTC EmbeddedTester also supports use cases such as regression testing between different model or code versions as well as the automatic validation of an upgrade to new tool versions (e.g. Matlab or TargetLink). BTC EmbeddedTester includes all features of BTC EmbeddedTester BASE. BTC EmbeddedTester BASE is an ISO 26262 certified tool for creating, managing and executing test cases on model and code level (MIL/SIL/PIL). With features like the connection to requirements management tools or the integrated coverage analysis, BTC EmbeddedTester BASE is your one-stop solution for Requirements-based Testing of Simulink/TargetLink models and generated or handwritten production code. A complete API combined with a flexible plugin concept allows adaptation and enhancement of BTC EmbeddedTester BASE features in order to address specific project needs. BTC EmbeddedValidator is a tool for the formal verification of safety-critical requirements. Formal verification is performed on production C-code and takes formalized requirements from BTC EmbeddedSpecifier as a starting point. BTC EmbeddedValidator uses Model-Checking technology to automatically provide complete mathematical proof that shows a requirement cannot be violated by the analyzed system. This guarantees that there is no combination of input signals and calibration values that would drive the system to a state in which the requirement is violated. In case a requirement can be violated, BTC EmbeddedValidator provides a counter example in the form of a test case. This generated test shows an example of how to drive the system into a state where the corresponding requirement is violated. The increasing size and complexity of embedded software combined with a growing number of safety critical applications is currently leading to some significant changes in the approach for system tests. Especially in areas like autonomous driving or car-to-X[TB1] communication, we can see two important trends: A huge amount of (virtual) test kilometers combined with complex test scenarios that often don’t allow a one-to-one mapping to a particular requirement. This situation brings new challenges regarding the assessment of the test data. BTC EmbeddedSpecifier together with the dSPACE “RTT Observer Library” provides an efficient and integrated solution for the generation and execution of so-called “requirement observers.” These watchdogs can be created in an intuitive step-by-step approach using BTC EmbeddedSpecifier to transform natural language requirements into a machine-readable formal representation. Afterwards you can use them to constantly validate the status of each requirement in real time, e.g. during a Hardware-in-the-Loop (HIL) simulation. Due to the parallel execution of the requirement observers and the HIL system, the test effort remains mostly unchanged whereas the test depth dramatically increases based on the continuous validation of all tests against all requirements. The high degree of integration into dSPACE software products enables a comfortable and efficient way of using requirement observers in different projects. For dSPACE ControlDesk, an automatic layout generator is provided (see screenshot) which gives live feedback regarding the status of each requirement. Within dSPACE AutomationDesk, an additional library block can be used to automatically manage and report all observers during automated test executions.